In God we trust; all others bring data - Agfinity Inc.
You’re going to love this newsletter, trust us…..
Makes me smile every time I hear it because it’s the perfect blend of faith and cynicism that I can appreciate. In our industry and business, there is a high level of trust given and required, which I have always thought is what makes trading grain such an awesome part of agriculture. For starters, aside from Facebook and our local farmers, many of you have never met us, or us you, typically our relationship has consisted of phone calls, emails and the occasional text. Not to mention, our crazy antics on social media. But what we ask of you is to trust us, with your livelihood, your ability to feed your family, to bring you the best value. And, if you are selling your grain, you trust that we’re getting you the best price, all the while meeting the requirements of the contract including the time of pick-up, payment terms and various other key details. 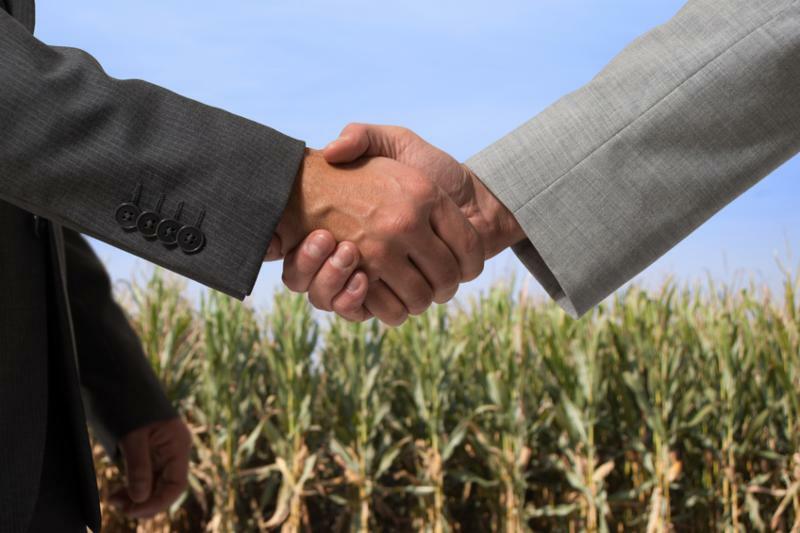 Buyers trust us to deliver on the commitments that we have agreed to on the seller’s behalf and that the grain comes when it’s scheduled and meets the specs that were agreed to. All these things are just a small part of how you trust us, and we don’t take it lightly. I suppose the answer could be, is that you pay us, but just payment for services rendered doesn’t earn trust. Maybe you give us a shot and see how things go, and that’s fair, but is that true trust? And what if something goes wrong? Is trust irrevocably broken? We’d like to think that we trust you and you trust us because we need each other. Because, hopefully we’re meeting a need or solving a problem for you. Sellers who need to sell their grain for the best price and buyers who need grain to fill a position and/or eventually feed an animal. We do our best to connect the buyer and the seller and to be genuine, unbiased and transparent in all our dealings. We truly work to earn your trust by putting our customers needs before our own. Now, what happens when something goes wrong? When your trust in us is tested? When that grain that you thought was dry got discounted for being tough, or when the buyer doesn’t have that cheque in your mailbox in exactly 15 days? … Or, as a buyer, you bought a specific spec of grain and when it comes in you’re not even sure what you bought. It’s easy to be trustworthy when nothing ever goes astray, but it’s how we deal with these challenges that proves if we truly believe what we say. Nothing builds more trust than pushing it to the limits and truly testing it. Especially in this industry, we could never guarantee nothing will go wrong, that the terms of the deal won’t ever get fuzzy, or that mistakes and accidents simply don’t happen. But trust us when we say we have and will continue to do everything possible to resolve the issue. To work tirelessly to find a resolution and, hopefully, at the end of the day, keep your trust. Next time a problem arises, or you feel that either side of the contract didn’t keep their end, please give us a call or shoot us an email. We want to hear about it. We really do. Rather than us seeing that as a problem, we choose to see it as an opportunity to earn your trust. Farming is forever. And consistency over time equals trust. We don’t just put out newsletters…. Want to know more about Agfinity and the people who work here? Want to see our current grain offers, posted by farmers all across the prairies? …Or what we’ve traded in the last while? Want to see us singing, dancing, climbing silos, and cheering about the latest grain marketing opportunity!!? 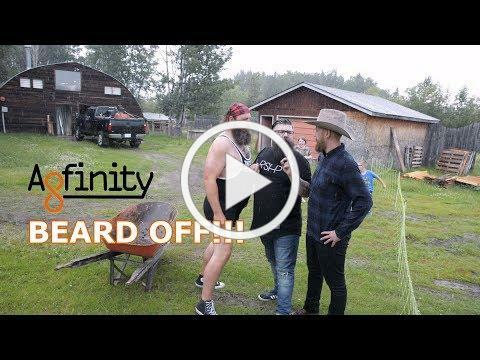 The Beard OFF!!! Someone is going to lose their beard! Click Here for our area specific pricing! See what’s happening on our social sites!